Gresham House Strategic (LON: GHS) Managing Director Graham Bird joins DirectorsTalk to discuss the performance of its UK Smaller Companies fund through 2019, how he sees the portfolio overall, what’s in the pipeline for the next few months and how a JV with Aberdeen Standard Investments will benefit the company. 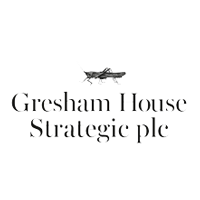 Gresham House Strategic plc is the only listed vehicle applying Gresham House’s Strategic Public Equity (‘SPE’) strategy. The Strategic Public Equity mandate utilises the principles and practices of private equity to invest in influential stakes in UK smaller public and private companies which it believes to be undervalued. As such, the team has an engaged, active style of investing, working closely with management teams, to create shareholder value through strategic or operational initiatives, supporting a clear 3-5 year management plan to implement these initiatives. Click GHS for the full archive.